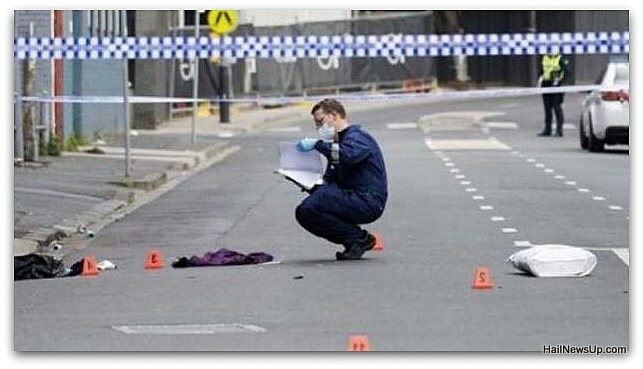 Nightclub shooting in Melbourne, 1 killed, 3 wounded - HailNewsUp.com provides latest news from India and the world. Police spokesman said that there is no apprehension about the firing incident in connection with the terror attack. According to the local newspaper, investigators are also doubting motorcycle gangs for this incident. Melbourne is the news of firing in Melbourne. According to the police, there was a clash over a minor night on Saturday night in a nightclub, in which two groups were fired. In this incident, 1 has died and 3 people are injured, who are being treated in the hospital. Earlier, the police told that four people have been admitted to the hospital, two of them are serious. One of them died He told that the age of three wounded is between 29 and 50 years, the age of the fourth person is not known yet. The police spokesman told the news agency AFP that the firing incident is not suspected to be related to terrorism. According to news of 'The Age Newspaper', the investigators are also looking at linking the incident to a motorcycle gang. The police can provide complete information on the incident until late evening. According to the police, some people were shot dead on the outskirts of Prayer outside the nightclub, in which 4 people were injured. Despite not being linked to the terrorists' terrorist organizations, the police are investigating with every perspective. A motorcycle gang is being explored, which could be involved in this incident. There was firing in Melbourne last month even before the incident on Saturday. Five people died in four separate cases. Two of these incidents were linked to the gang. In Australia, such crimes like firing are rare because many stringent laws related to arms are banned here. In 1996, a massive firing incident occurred in Port Arthur, in which 35 people were killed. After this, the Australian Government made several stringent laws related to arms, which are strictly followed. Last year too there was a heart-rending incident. In Western Australia, seven people of the same family were killed in cases related to murder and suicide. This incident is considered to be the most horrific in Australia's history after Port Arthur attack.